A research cruise this summer, led by the National Oceanography Centre (NOC, UK), will address the massive technical challenges in exploring for sea-floor mineral deposits. The expedition will take place on board the RRS 'James Cook'. In its decade of service, this ship has travelled 218,972 miles in pursuit of science – the equivalent of circumnavigating the globe ten times. Seafloor hot-springs, or hydrothermal vents, form deposits of minerals rich in copper, zink, gold, and rare–earth elements, and may prove to be future resources for these important metals. While active hydrothermal vents are home to rich and exotic ecosystems, this expedition will only study extinct vents from which the associated fauna have long since moved on. The RRS James Cook left Southampton for the Mid-Atlantic ridge on 30 June 2016 to test innovative technology aiming to enable theses deposits to be detected and their constituent minerals to be assessed. Dr Bramley Murton, who is leading the expedition from the NOC said that the challenges posed by deep sea exploration are similar in scale to space exploration. The technology that allows to reach these hidden worlds is vital to our understanding of them. The deep-seafloor we will be exploring during our expedition is an extreme environment of intense-pressure and eternal darkness hiding a rugged landscape akin to a combination of the grand-canyon and monument valley 3.5 kilometres beneath the waves. Whilst at sea the researchers will be using new technology to navigate underwater instruments between extinct volcanoes, 20m high cliffs and towering chimney structures built by long-dead hydrothermal vents. The British Geological Survey’s robotic drilling rig will bore holes deep-into the deposits to extract samples of the minerals and take readings of the interior conditions. The robotic drill has been fitted with an adaptation to enable it to drill through these hard deposits. Samples taken from the drill will help scientists determine if the minerals deposited by hydrothermal vents are able to withstand the degrading effects of the seafloor environment long after they have become extinct. During the research cruise the team will test new systems for detecting mineral deposits, two of which work in a similar way to a CT scanner, and another is more akin to a giant metal detector. The former two, developed by The University of Southampton and the team’s German partners from GEOMAR, involve looking for distortions in an electric field transmitted through the sea floor - indicating the presence of buried mineral deposits. 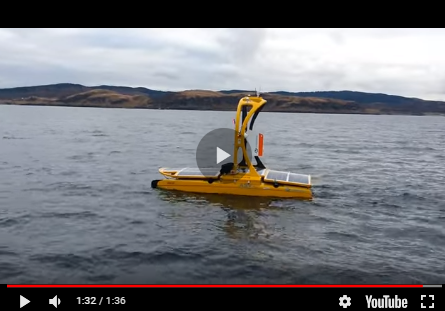 In addition, a robotic underwater vehicle, HyBis, has been fitted with a special colour spectrometer, developed by The University of Trondheim, Norway, so it can study the composition of the sea bed. This expedition forms part of the NOC’s research into sea floor hydrothermal systems and their related mineral deposits. On this expedition the NOC team will be using their expertise to investigate if and how technology can be used to effectively map the distribution of extinct seafloor hydrothermal systems. Video: HyBis finding new deep vent systems.